If GAP closed tomorrow, would anyone in the community notice? In April 2015, Highview Baptist Church in Louisville, Kentucky experienced our inaugural week partnering with GAP in McDowell, KY. Make no mistake, GAP is a major player in ministering to the hurting and seeking to save the lost. Before arriving there was a massive amount of prayer for our group and the unmet individuals we were going to be in contact with during our time in Floyd County. Our hope was that through GAP relationships we would have opportunities to be an extension of their efforts enabling us to have moments to share the hope found only in Jesus Christ. Thirteen men went with an attitude that real poverty is rooted in broken relationships. Broken marriages, families, businesses, and communities are ultimately the result of broken relationships with God. When we look at Louisville we see many of these same realities. Our brokenness is the same because our need is the same. Ministry projects ranged from assisting GAP clients with home repairs, assisting with food distribution for qualifying families, delivering meals, washing cars and even taking over a laundromat. The Great Commission commands Christians to “go and make disciples”, these ministry projects, while meaningful, are simply the tool we used to be obedient to His command. Our primary focus was to “be intentional” in sharing the Gospel through each of these touch points. Each day was covered with more prayer. God was gracious. In each interaction with a GAP client, one by one, they opened up to us about their life. Within each time an opportunity arose to evangelize. Through this short-term mission trip we have a heart for a long-term partnership with GAP and the clients they serve. With God at the center of it, the future prospects will be epic. This entry was posted in Uncategorized on May 27, 2015 by WebManager. 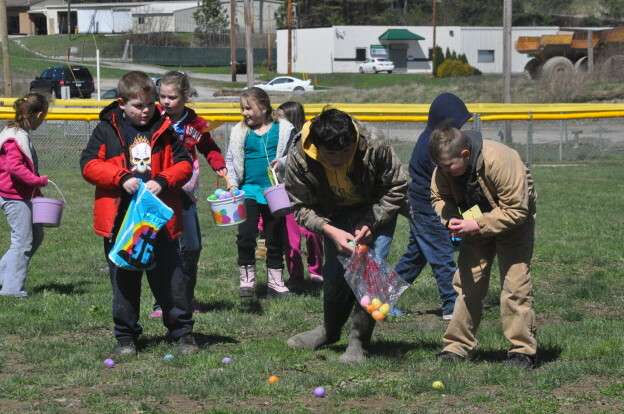 On March 28th GAP held its annual Community Easter Egg Hunt. It was an extremely cold Saturday. The temperature did not rise above 38 degrees the entire day. 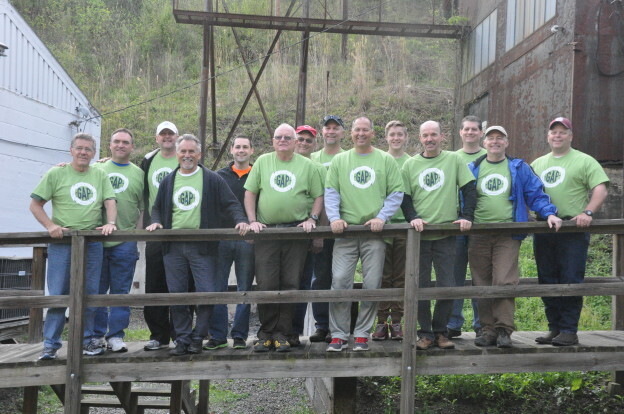 Volunteers showed up at 8:00 am ready to set up the ministry event. In previous years, it usually took about two hours to set up the carnival games, sound system, food, etc. However this year we broke the record. After only 30 minutes I looked around and the volunteers had disappeared. The cold temperatures had inspired everyone to be quick so that they could get back into their vehicles to turn their heaters on. I wondered to myself just how many people would actually come out in this weather. At the end of the day 411 people had registered. We hid 6,200 filled plastic eggs and children of all ages had a great time hunting them. Their excitement was contagious. There were several carnival style games set up for families to play, face painting, clowns, an inflatable slide, food, puppets, live music including a local Christian rapper, but above all, at the center of this event was the sharing of the Easter story. This year we tried something different in the way we presented the Gospel. Instead of trying to focus the crowd’s attention toward the stage for a presentation of the Gospel, we had 20 volunteers go out to engage adults one on one in conversation and share the resurrection story. God gave these volunteers some amazing opportunities to listen and to share with our clients and community. Throughout the day, as I looked around the crowd, I not only saw these volunteers talking and sharing but also praying with our clients, hugging them, and just being the hands and feet of Jesus to everyone around them. “This has been the best day ever! Thank you for having this for me and my boys. We just love it!”– Macy B. “Thank you for having this egg hunt. There is nothing around here for families to do together except this one time a year event. Thank you. 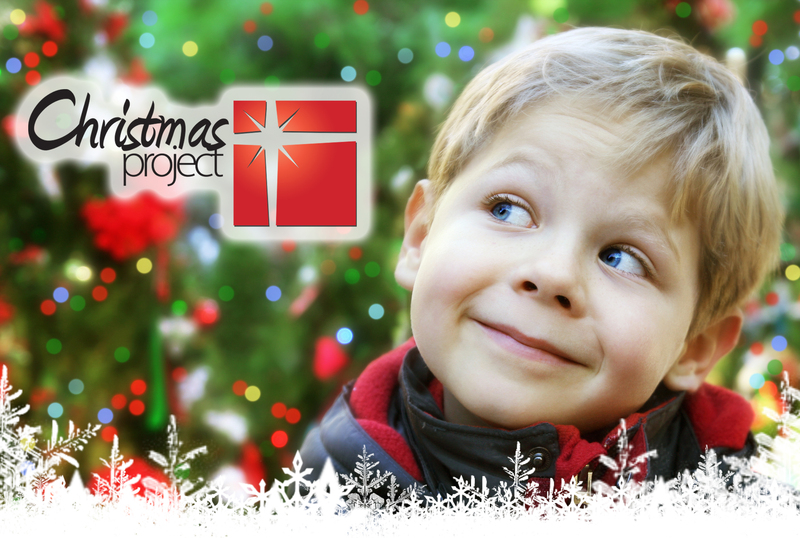 We look forward to it every year!” – Laci T.
“I thank God for GAP. I don’t know where I would be if it was not for GAP. My kids are still talking about the Easter Egg Hunt and all the fun we had. My youngest said, ‘Mommy why don’t they have that every week?’” – Sandra W.
It is evident that God has used this one day ministry event. We are grateful for partners like you who made it possible! This year teams from Forks of Elkhorn Baptist Church, Parksville Baptist Church, McDowell First Baptist Church, and Heartland Worship Center traveled to work at this ministry event. But there were many more that prayed and supported this event financially. Praise God for His provision for His ministry! Do you remember the story in Scripture about the widow giving two mites? Luke 21:1-4 says, “And He looked up and saw the rich putting their gifts into the treasury, and He saw also a certain poor widow putting in two mites. So He said, ‘Truly, I say to you that this poor widow has put in more than all; for all these out of their abundance have put in offerings for God, but she out of her poverty put in all the livelihood that she had.’” (NKJV) God has given me deeper meaning of this passage as I have seen a client who I believe is the modern day widow of this story. For privacy and security reasons I will identify this client as Pam. Pam is not a widow. She is a client who is in an abusive relationship. As far as material possessions, Pam has very little. She has been coming to GAP for several years now but in the last few months we have noticed a great change in Pam. It is evident that Pam has accepted Jesus Christ. However she told us that her husband will not allow her to attend church. A few months ago, Pam came into distribution and pulled Kathy over to the side. 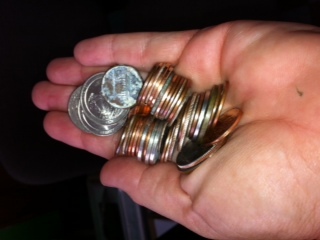 She reached down into her worn out purse and pulled out a handful of change and placed it into Kathy’s hands. The following month, she brought a wadded up paper bag of change. This month she was unable to make it to her appointment but she sent some money with a message saying, “I wish it was more but I had to buy my medicines this month.” Pam gives financially to GAP because of the blessing GAP has been in her life. She told us that she wanted to give so that others could be helped when in need, just like her. In this story we learn that although this widow’s gift was the smallest in monetary value, it was the greatest in sacrifice. The value of a gift is not determined by the amount but by the spirit in which it is given. A gift given grudgingly or for recognition loses its value. When we give, we must remember that gifts of any size are pleasing to God when they are given out of gratitude and a spirit of generosity. Pam’s story and the story of the widow are stories of great encouragement to those of us who may have few material possessions but a great desire to give to God. It is amazing how we can approve the widow’s action, praise the action of Pam and agree with Jesus’ verdict without imitating their examples. If we truly believe as we say we believe, would we not do exactly as the widow?